While the final report of this team is awaited, their preliminary report has already stated that the children have died from causes like septicemia and pneumonia, and are unrelated to the vaccine. This conclusion fails to explain why or how the babies were administered the vaccine in the first place if they were seriously ill at the time of immunization. In other words, PUDR had uncovered that the Ministry of Health and Family Welfare had given their conclusions as to how these children had died before the final reports had even been issued. It was in this context that the PUDR, Delhi (People’s Union for Democratic Rights), put together a team comprising public health experts, including clinicians, to look into these incidents. The team which was in Srinagar between 8th to 10th November, visited some of the affected families and conducted a verbal autopsy of the infant deaths to look for antecedent illnesses as well as enquire about other adverse events (as per the Adverse Events Following Immunisation (AEFI ) guidelines. 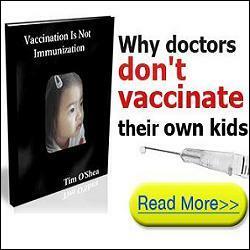 So, why is the WHO promoting a dangerous vaccine that is killing children? Maybe it is because the Bill and Melinda Gates Foundation are funding them to do so. The Gates Foundation recently announced that they will be giving the sum of $750 million over five years to help ensure that children in developing countries are immunized against major killer diseases in the new millennium. The fund will work closely with a new international coalition called the Global Alliance for Vaccines and Immunization (GAVI), a partnership of international development and finance organizations, philanthropic groups, the pharmaceutical industry and others. Are These Vaccines Saving Children Or Killing Them? For many years our governments and mainstream media have led us to believe that organizations such as the WHO, GAVI and the Gates Foundation promote vaccines such as the pentavalent vaccine for use in developing countries to save the lives of millions of children. But are they? I decided to find out exactly what else Dr. Puliyel had written in his report. I found that his report revealed that several infants had died, soon after vaccination, in every area where the vaccine had been introduced. To cover up this fact, the WHO had come up with various elaborate excuses. However, Dr. Jacob Puliyel had written that none of their excuses were ‘sufficient alternative causes’ and revealed that whenever a child’s death could not be explained, the WHO diagnosed the child as having died from Sudden Infant Death Syndrome (SIDS). This is true and it will be very interesting to see how the WHO tries to wriggle out of this factual information. Again, we have strong evidence to suggest that an unlicensed and unsafe vaccination is being given to millions of children in the developing world. Rather than saving their lives, as we have been led to believe that they are, the WHO, GAVI and the Gates Foundation have killed possibly hundreds if not thousands of these vulnerable children with dangerous and unnecessary vaccination programs. Many of these children are already weak and ill. What they need is a clean and safe water supply, better nutrition and a better environment. 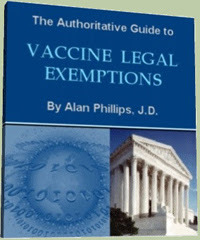 Why are the Gates Foundation, the WHO and GAVI spending billions of dollars on vaccination programs, when they could provide them with what they really need at a fraction of the cost? Be the first to comment on "Deadly 5-in-1 Vaccine Kills At Least Eight Infants"